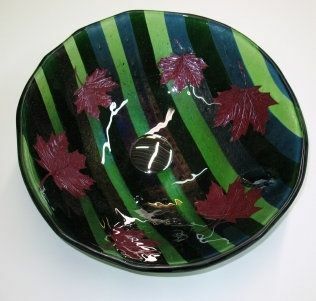 "Sugar Maple" This intricate design includes layers of colored glass with a twist. Between the layers, there are hand-made maple leaves comprised of copper. Measurements: 5/8"thick glass, 22' diameter, 4"deep. Can be outfitted with sink hardware or used as a stand alone art piece.